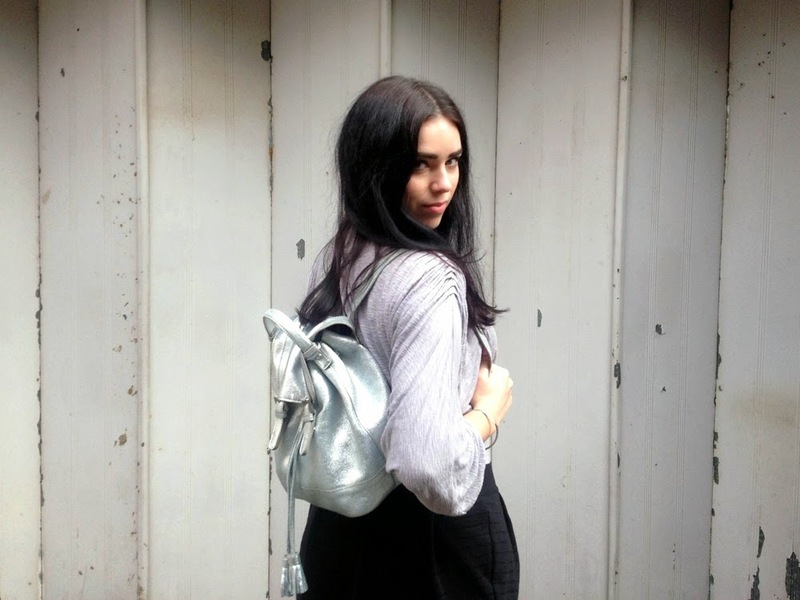 My favourite new season update is this gloriously glittery metallic backpack from Boden. 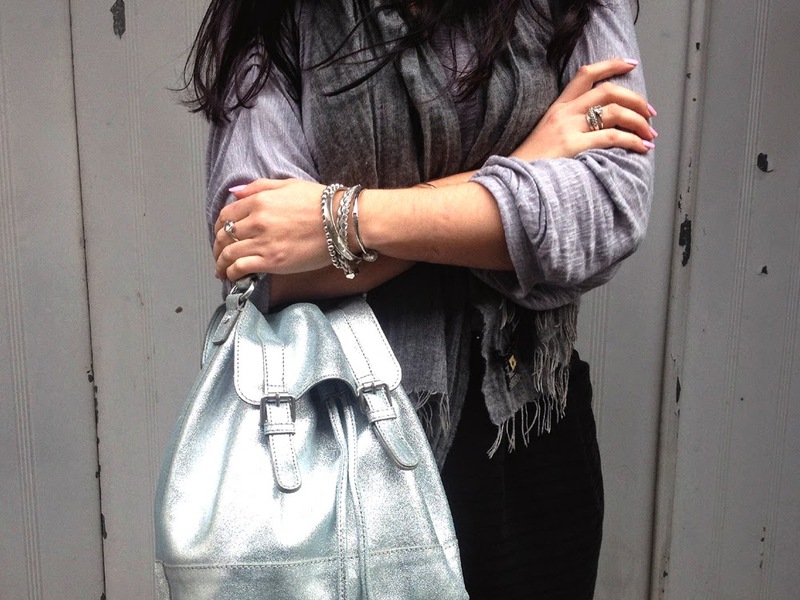 The sparkling silver beauty is made from thick, supple leather and is the perfect accessory to update dark, wintry outfits in a second. It's a good, roomy size - I've been carrying around my purse, keys, water, iPad mini, make up, iPod and gloves and relishing having my arms free for once (it's fastened by a drawstring tassels and has a top handle too). 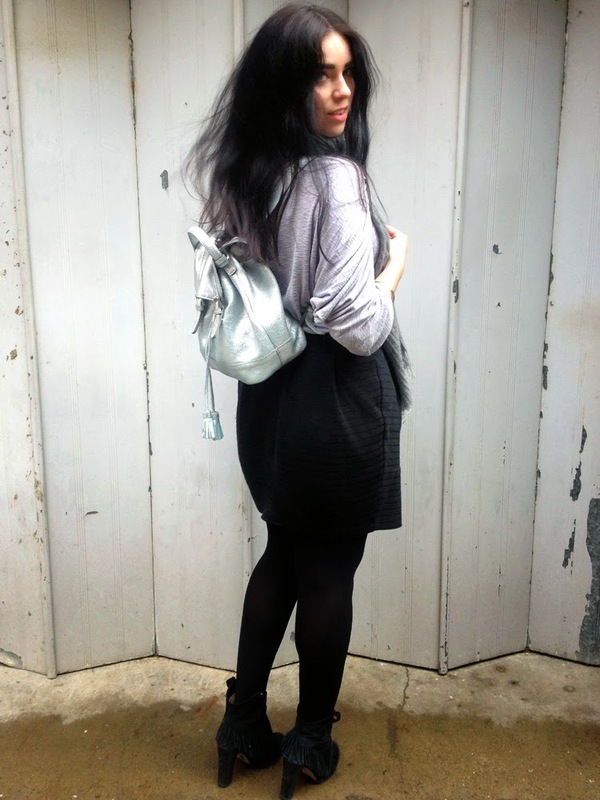 If, like me, you're drawn to anything that sparkles, you'll love this smart, quirky little rucksack as much as I do.